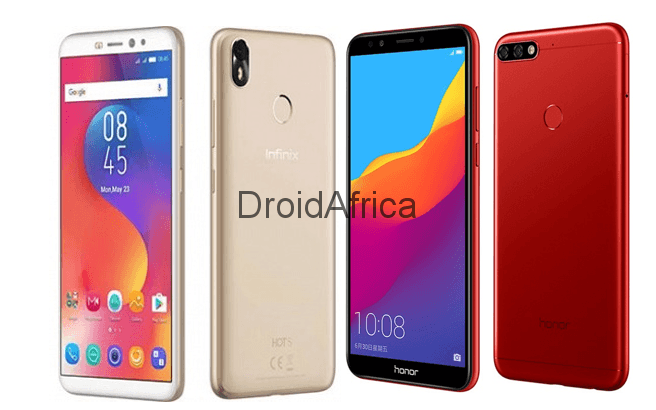 Infinix Hot S3 has been around for some weeks now. The device was announced in India early February this year. On the other hand, Huawei Honor 7C was just introduced in China earlier today, with almost similar specs with the Infinix Hot S3, except for some changes and differences here and there. Both these share almost similar specifications including a 18:9 display, up to 4GB RAM, fingerprint sensor on the back and a metal back with almost similar pricing, so we decided to do a quick comparison of the specifications between the two, which is the table below. At the tail end, it all boils down to your personal preferences or brand loyalty as the case may be. While some persons might choose the Hot 3 due to it Camera promises, other geeks might definitly go for the Honor 7c due to Huawei’s long age experience in mobile technology, and the presence of a more powerful Qualcomm Snapdragon 450 octa-core CPU.